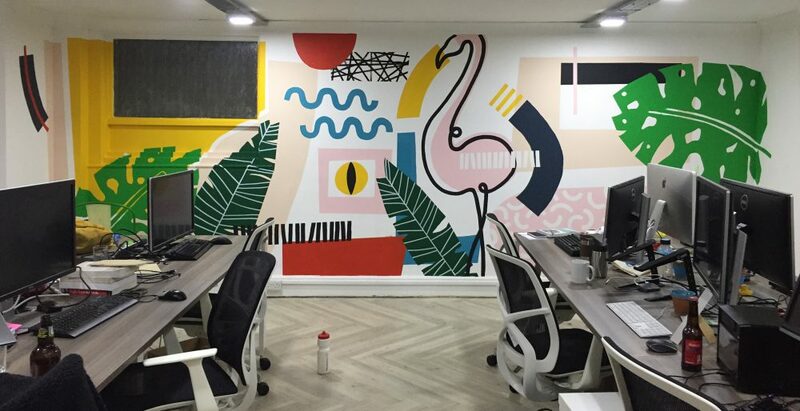 I was commissioned to design and paint two large murals for MPB’s Brighton office. 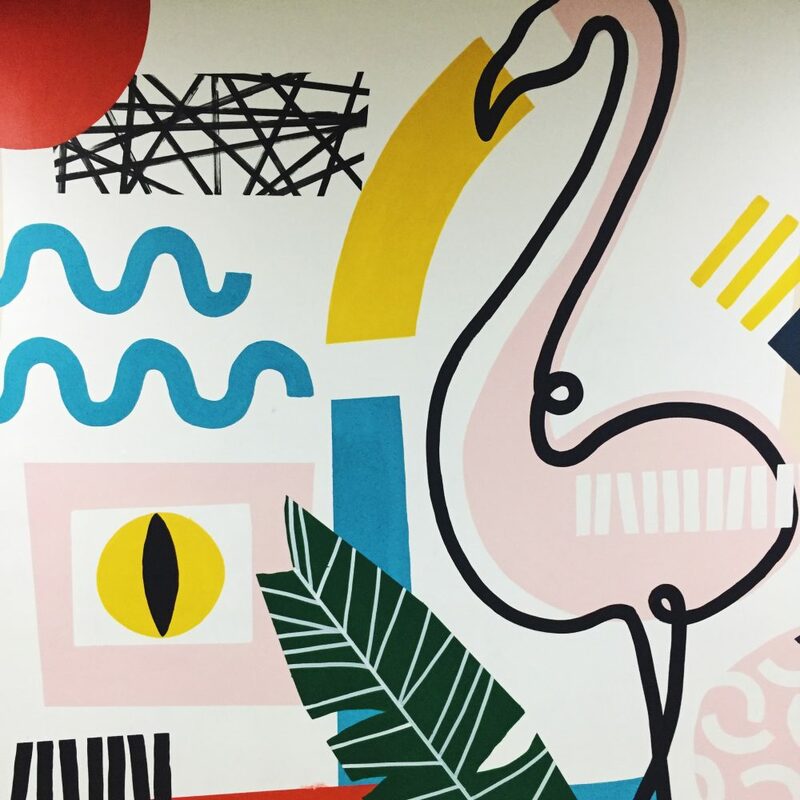 This one was for the wall in the main office, which they wanted to be be based around a Flamingo – the name of the very impressive system coded by their in-house developers. I painted both murals in 3.5 days with the help of Alice, my fantastic assistant! 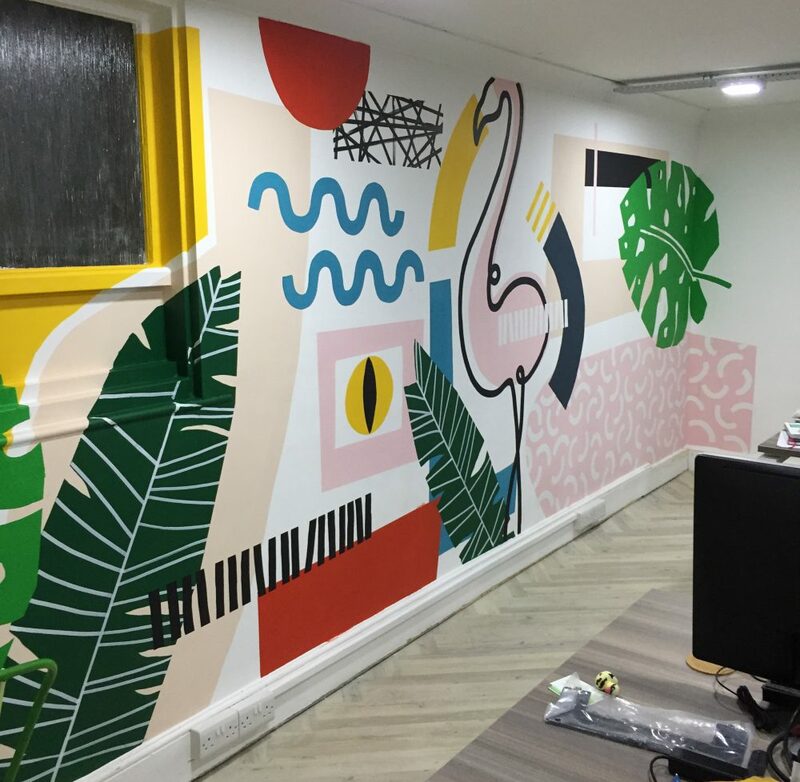 The original designs (below) were left loose, to be able to adapt on the day, but mock ups and colour references were also sent to the client to be able to match in with painting other areas of the office.